Livella floor heating systems are custom designed for peak efficiency and performance. Enjoy affordable resort style comfort in your new home or renovation project. Perfect in every room. We offer a complete design, supply and installation service across Greater Melbourne. Call our friendly team for expert advice on your next project. Or upload your plans now for a free quotation. 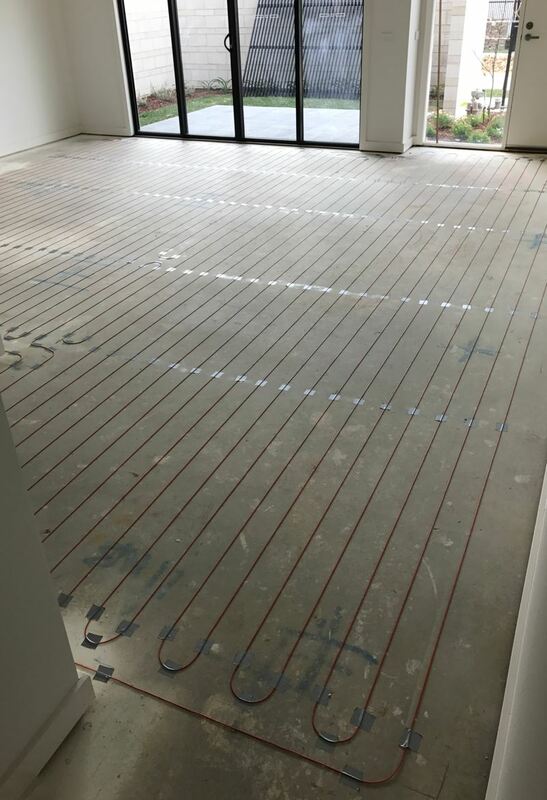 Livella floor heating systems have been installed across Victoria for over 15 years. On slab heating for every room. Livella’s on slab heating cables are extremely flexible and suited to almost any application. 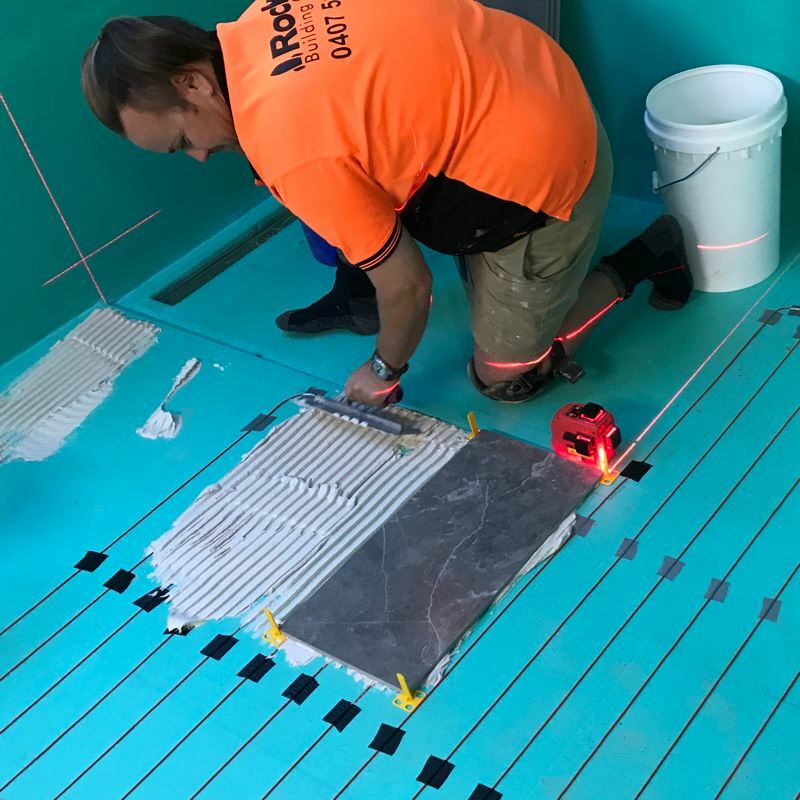 Installed just milimetres under tile, timber or carpet, heat is emitted efficiently and responsively into the room above. Quick response times and greater design flexibility allows the smallest of rooms to be individually heated. Running costs are just cents per square metre per hour. Livella’s on slab cables are only three millimeters thick — and can be installed on any substrate, under any floor covering. Even heat into showers and over stairs. Every Livella on slab heating system is designed at the time of installation for maximum floor coverage, avoiding the issues of lesser mat-type systems. In slab for new projects. Livella in slab heating systems are preferred when heating large areas — or when uninterrupted warmth is required. Heat is generated cheaply during off-peak hours, stored in the concrete slab and then dissipated slowly during the day. Zones can be divide by room. But typical installations will create fewer, larger zones to keep costs low. 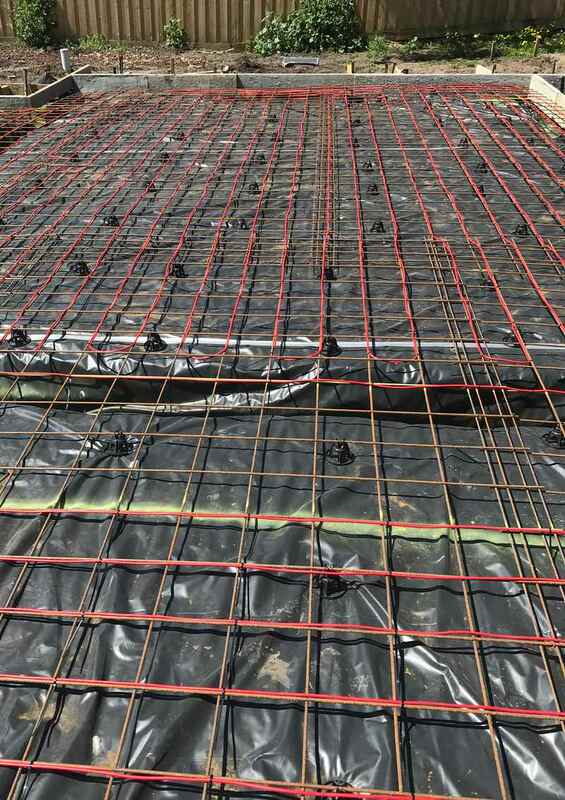 The heavy duty and flexible cable design is perfect for domestic and commerical applications, including in polished concrete floors, in cold rooms and for melting snow in outdoor areas. Heating cables are located between 35mm and 50mm below floor coverings. Stylish thermostat. That shares its smarts. 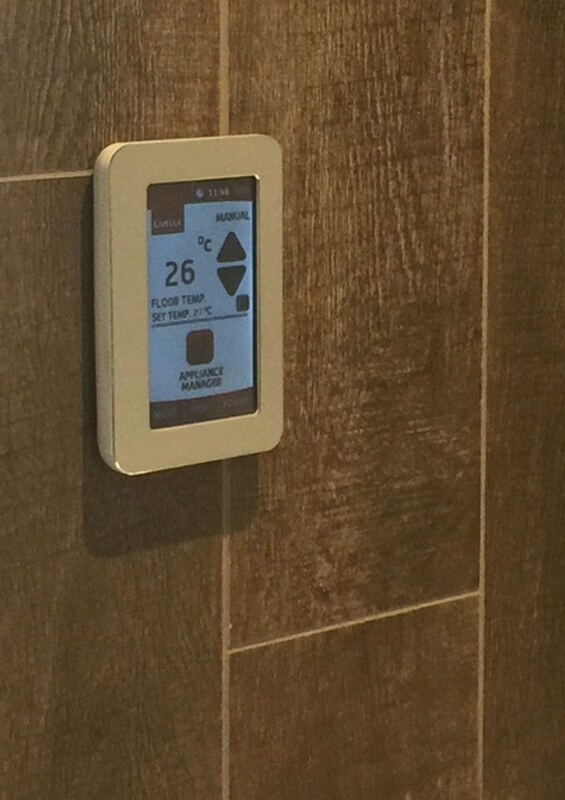 Livella floor heating systems are matched with a deluxe touchscreen thermostat. Set separate weekday and weekend routines to suit your lifestyle — and keep running costs low. The integrated appliance manager automates lighting, heated towel racks, etc. to save hundreds annually. Ships with multiple faceplates to match your decor. Set separate schedules to match your weekday and weekend routines. Keep running costs low without compromising comfort. Automate your lights, heated towel rack or extraction fan on its own schedule. Affordable automation that will pay for itself. Switch between air and floor temperature control to create the perfect ambiance. Install in portrait or landscape position to match existing wall fixtures. No instructions needed. A simple, full colour touchscreen makes setting up a breeze. Temporarily override your heating schedule when arrangements change. Livella floor heating systems are designed at the time of installation to deliver complete floor coverage. Rooms can be heated individually for maximum flexibility — or grouped together to keep costs down. Our design service and qualified installers will ensure your new system suits your needs and exceeds your expectations. Trusted for 25 years across Australia and New Zealand. Founded in 1994, Livella’s quality floor heating systems have stood the test of time. You can trust Livella to deliver a superior system that will perform reliably for decades. Livella heating systems are backed by a 10 year manufacturer’s warranty. Contact Livella for terms and conditions. Livella offers a complete design, supply and installation service across Greater Melbourne. All systems are installed by qualified electricians in accordance with Australian Standards. Call David Bryan on 0400 500 222 for expert advice. Upload a simple sketch — or, architectural plans — for a full design and quotation. Livella’s experienced team will give you options. Choose between in slab or on slab cables to match your lifestyle and budget. Systems are always designed to keep installation and running costs low. Questions? Call David Bryan on 0400 500 222.